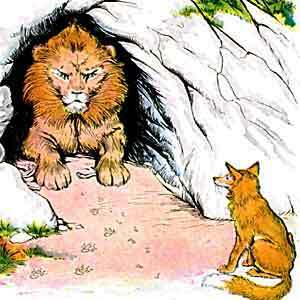 An old lion lay sick in his den and he was about to die. The subjects of the lion, the animals in the jungle knew the lion, their king is dying came to his den and surrounded him. When they saw the sick lion is gasping for breath and dying, they decide to bully him and revenge on what he had done to them. The Wild Boar came and drove its tusk against it; The bull gored the sick lion with its horns; the donkey came and kicked his heels toward the lion’s face. Cowards is strong when the majesty is weak.